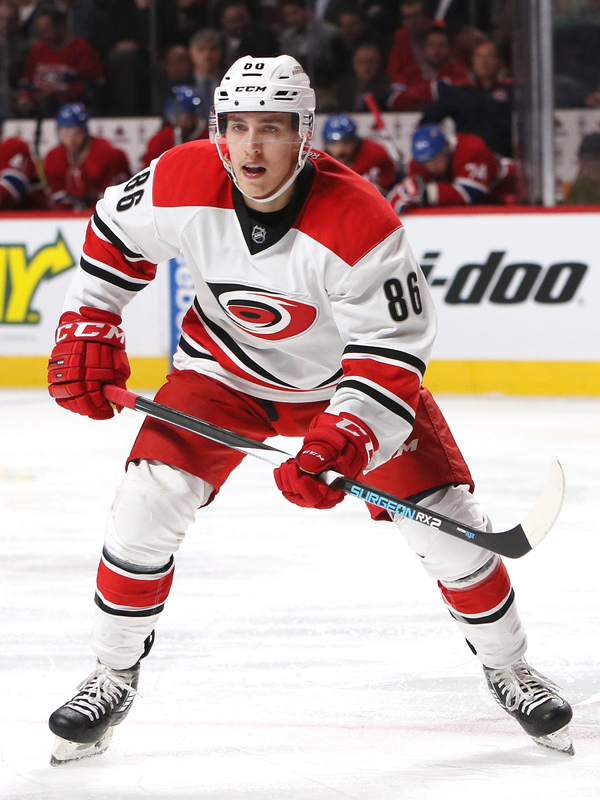 The Carolina Hurricanes have locked up an important piece, signing Teuvo Teravainen to a two-year contract. The deal will pay him $2.86MM annually. Teravainen was a restricted free agent for the first time, but this short-term deal will allow both sides to re-evaluate their position in a couple of years. Acquired last summer in the annual Blackhakws salary dump, Carolina massaged Teravainen out of Chicago in exchange for a pair of draft picks and taking on Bryan Bickell’s contract. While Bickell would spend most of the season on long-term injured reserve after being diagnosed with multiple sclerosis, Teravainen put up his best season as a pro scoring 15 goals and 42 points. Playing both wing and center at times, he ranked sixth on the team in scoring. The 22-year old forward is part of an extremely young crop in Carolina who appear to be headed for great things. Along with Jeff Skinner, Sebastian Aho, Elias Lindholm and Victor Rask, the Hurricanes have one of the best 25-and-under groups in the NHL. Pair that with their good young defense corps and 10 picks in the upcoming entry draft and you can easily see this team is headed in the right direction. Carolina isn’t a cap team, or more accurately not a cap-ceiling team, as they have an internal budget that they adhere to. Recently, due to the number of young players discussed above, the team has had trouble even reaching the cap floor. While there is a bit more money to spend when they need it, don’t think that the ~$25MM they still have in cap space for next season will be used on the open market this summer. That said, a two year deal with Teravainen takes him to 24 and will leave open the door to sign a longer term contract that buys out several free agent years. $2.86MM is plenty affordable for a 40-50 point player, and may believe he can eclipse that soon. Teravainen was the Hurricanes’ only real pressing issue when it comes to restricted free agents this summer, with only Brock McGinn needing a deal among the rest of the NHL roster. What will be interesting to watch, is whether any extensions are handed out to the large group due to become RFAs next summer. They can officially announce any such extension on July 1st. Great signing. A key piece to what Francis is building in Raleigh.